Run your lawn care, gardening and landscaping company better. 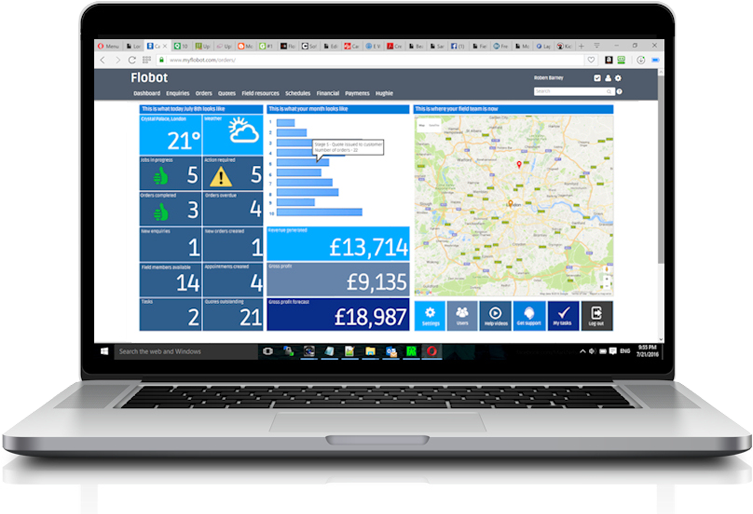 Flobot allows you to manage your customers, your employees, your contractors and your office staff. 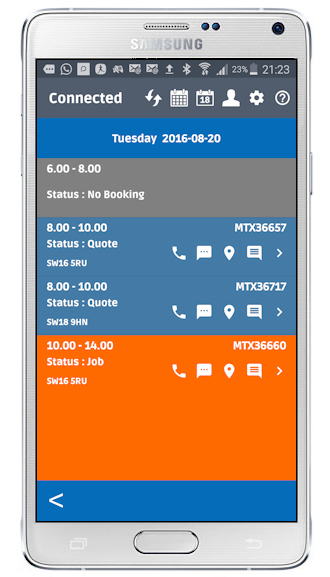 Create quotes in Flobot and send them directly to the customer, schedule your gardeners for jobs or appointments once or make recurring appointments every day, week, month even yearly. You can take instant payments for one-off garden clearance and lawn mowing jobs or create batch invoices for automatically sending invoices for monthly garden maintenance jobs. Build professional landscape gardening quotes and estimates and get them out to your client immediately - even from the customer's premises. Send your lawn care and gardening invoices from Flobot or to your accounts package or take instant card payments directly into the system. The diaries and schedules of the gardeners enable you to plan maintenance projects and recurring gardening and lawn care jobs months ahead. 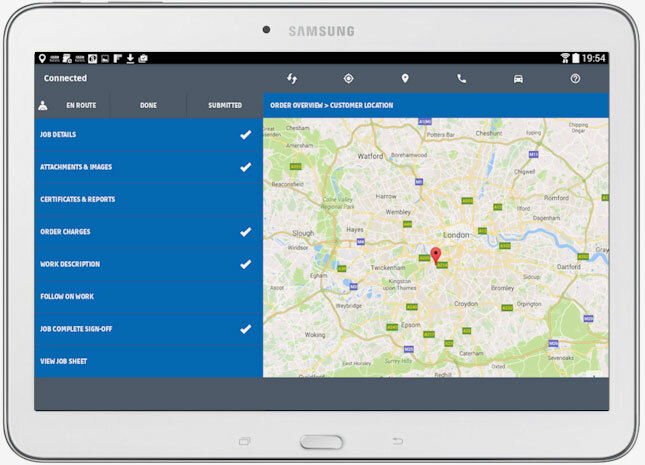 Every gardener has access to the Flobot Field app to show them where to go, when to go and what to do. Ideall for regular lawn care jobs. A long time ago we were a property maintenance business offering landscaping and gardening services - and now we are a software company. And that gives us a unique insight and an appreciation for the complexity of running a landscape gardening company. It's not just about scheduling the gardeners. Becasue the nature of the business is seasonal you will probably have a mix of employees and sub-contractors among your gardening teams - and so Flobot deals with payment allocations for both. But there's more. Flobot has an HR system for keeping the names, addresses, numbers, emails, next of kin, insurances, certificates, CVS, skillsets and another other details of all of the gardeners. You can do your payroll with Flobot by allocating payments to the gardeners for individual jobs such as garden clearnace or tidy or just record their salaries. It has an online portal so the gardeners themselves can check their payments and alter the areas they can work. And of course there is the Flobot Field app that shows them who to see, where to meet them and what to do when they get there. It is an all in one one landscape gardening software system. There is no other field service software company like Fresh Milk Software - and there is no other product like Flobot. Even in this day and age you might be using paper jobsheets to ensure that the customer signs off the job to say they are 'happy'. And then you rely on the gardener to pop into the office or post them to you so that you have a record of what happened with that particular job. You don't have to be a rocket scientist to see where this process can go wrong. Losing the paperwork is probably the number one fault - if it was ever signed in the first place. Then probably scanning it and then having to reconcile it with the correct account and order - then storing the pieces of paper and finally trying to find it when there is some sort of dispute. And you don't need to be Stephen Hawking to work out why this process is much better if you use an app on a smart phone or a tablet to do it. It is instant. You can tell the gardener not to leave before it is signed. The gardener can take before and after pictures which you can send to your customer right away and then you get an email telling you the e-jobsheet has been completed. It is reconciled with that exact order to the customer's account. It is stored on their file in the cloud forever and it is easy to find if there is a dispute. Running a successful lawn care, gardening and landscaping business is fast paced and hard work. Flobot helps because it combines everything you need in one system. So, storing all the details of your clients, their sites, contacts and requirements. Then storing the details of your lawn care and gardening teams. Building quotes, sending them and storing them, right through to scheduling the gardeners to do the job - or maybe the same job every week, sending an invoice for the lawn mowing to the client or taking an instant card payment, right down to paying the gardeners themselves. An end-to-end, start to finish gardening software solution like no other. And used by hundreds of gardening, landscaping and lawn-care companies across the World. Where are is your lawn care team? Flobot is scalable from 1 user to 1000 and becomes even more useful the more employees and gardening teams that use it. Impressive. It means that any landscape company, lawn care company or gardening company can run their entire business from a smart phone, controlling payments, invoices, field teams and customers from anywhere. Download the Flobot field app in the Google Playstore. As your landscape business grows you need help to make it scale. Software that reduces staff overheads by simplifying and automating processes. Invoicing, scheduling, quoting, estimating and managing all those parts of the business on a daily basis. Smart business owners use Flobot to help them do this. Getting the right gardener to the right job at the right time can seem like an uphill battle. Flobot will schedule hundreds of gardening teams to hundreds of different locations, and only allow you to select the right landscapers with the right skill-sets for the job. So gardeners for gardening jobs, soft landscapers, lawn care operatives and garden designers for different types of work and hard landscapers for outdoor building projects. And it works just as well for one man and his gardening company as it does for a major landscaping operation. You can quickly build professional quotes and estimates for your potential customers. What's more you can upload photos, insert technical drawings and designs into your quotes and more importantly store them against the customer record. And Flobot monitors and manages those quotations so you can win more business. Flobot even tells you when they've looked at your quote. Landscaping projects are a series of tasks. Getting the landscapers there on time is one thing, but materials need to be ordered at specific times and people need to be there to collect them or take delivery. That's where Flobot's task manager comes in. Easily organise the entire project on one page - visible to you, your contractor and even your customer. The landscaping project is complete and now is the time to get a signature from your customer to say they are happy with everything. That is really important for payments and invoicing. Flobot allows you to get a signature from your client into the system through a smart phone or tablet and now you have a permanent record - and no paperwork. It's called an e-sheet. every landscaping company doesn't use this software, because you can't run a gardening company properly without it.